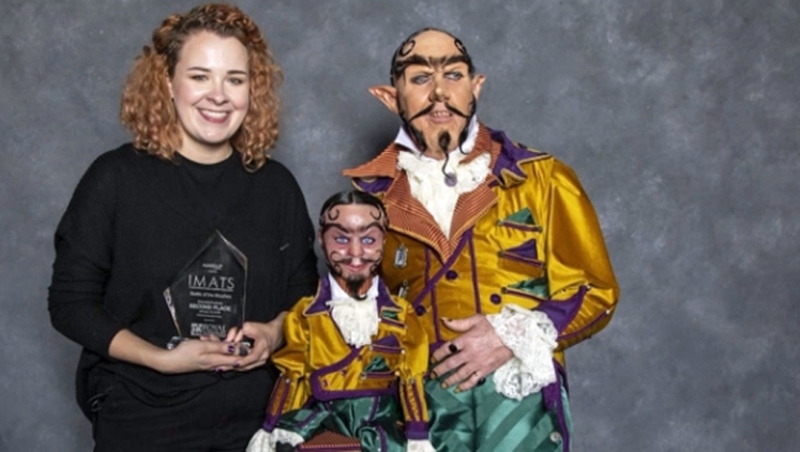 A Calgary makeup artist is celebrating after winning two awards for her special effects makeup at a competition in Los Angeles. It can take hours to create an alien inspired look but for 25-year-old Victoria McNair it’s all part of the process. McNair took top spot at the International Makeup Trade Show in Vancouver so it was off to Los Angeles to compete against some of the best in the world. Her dad was her model for one of the categories and she took home the trophy for second place. McNair is a graduate of Calgary’s One Beauty Academy so her win is also putting the school on the map. “We have lots of sculpting and molding so we’re trying to set us apart from other schools in Alberta because we basically add a whole other level of learning,” says Caroline Vogt of One Beauty Academy. “Instead of just beauty makeup or just fashion just effects it’s more than that it’s TV and film and prosthetics so you can work in studios and things like that and that's what we hope just get more and more people into the industry and really boost up our economy in Alberta." McNair’s success could also be good for the film industry in Calgary too. Calgary Economic Development has been trying to lure film producers here and the organization believes qualified Calgary-based talent will bring attention and jobs to our city. “We need to be able to be competitive so that we continue to be one of the first thoughts in these studios’ minds as they are deciding where to go,” says Luke Azevedo with Calgary Economic Development. The Alberta government also has a grant program that covers up to 30% of production costs to help promote our province to filmmakers.